Signalling further consolidation in the telecom sector, Bharti Airtel has decided to acquire Telenor’s India assets for an undisclosed sum. The move comes at a time when Idea and Vodafone have confirmed that they are in talks for a potential merger, and also when Reliance Jio has been fast-gaining momentum in terms of subscriber acquisition. Telenor had a subscriber base of 4.4 crore users, and the deal will mark its exit from the Indian telecom market. Bharti Airtel had over 36.8 crore customers across its operations at the end of January 2017. Bharti Airtel has entered into a definitive agreement with Telenor South Asian Investments to acquire Telenor (India) Communications. As part of the agreement, Airtel will acquireTelenor India’s running operations in seven circles —Andhra Pradesh, Bihar, Maharashtra, Gujarat, UP (East), UP (West) and Assam. These circles represent a high population concentration, and therefore, offer a high potential for growth, the Delhi-based telecom company said. The proposed acquisition will include transfer of all of Telenor India’s assets and customers, further augmenting Airtel’s overall customer-base and network. It will also enable Airtel to further bolster its strong spectrum footprint in these seven circles, with the addition of 43.4 MHz spectrum in the 1800 MHz band. Telenor India’s operations and services will continue as normal until the completion of the transaction, Bharti Airtel added. “On completion, the proposed acquisition will undergo seamless integration, both on the customer as well as network side, and further strengthen our market position in several key circles. The acquisition of additional spectrum through this transaction, which made an attractive business proposition, has further enhanced our already solid spectrum portfolio. 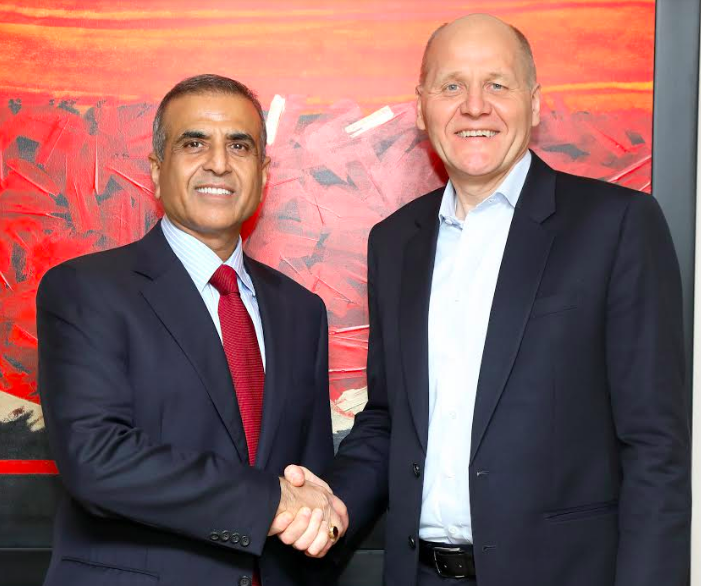 The proposed transaction will also create substantial long-term value for our shareholders given the significant synergies,” Bharti Airtel MD and CEO (India and South Asia) Gopal Vittal said. “We believe the agreement is in the best interest of our customers, employees and the Telenor group. Finding a long term solution to our India business has been a priority for us, and wear e pleased with our agreement with Airtel. The decision to exit India has not been taken lightly. After thorough consideration, it is our view that the significant investments needed to secure Telenor India’s future business on a standalone basis will not give an acceptable level of return,” Telenor Group CEO Sigve Brekke said.